Brampton, Ontario and King’s Transfer Moving & Storage have had close connections for over 45 years. Literally speaking, we are located just on the edge of the city with our offices located just off Hurontario St. We are honored by all the citizens that consider us their local mover. We can reach any part of Brampton within 30 minutes. Our closeness means you are not paying for movers to come from across the GTA to move you and that can save you money. Our local moving fleet can handle moves of any size. Our trucks are fully equipped with furniture pads, plastic wrap, tool boxes and everything required to safely move your items. Every truck arrives with a fully insured & WSIB qualified crew who know how to move your belongings quickly, efficiently and safely. 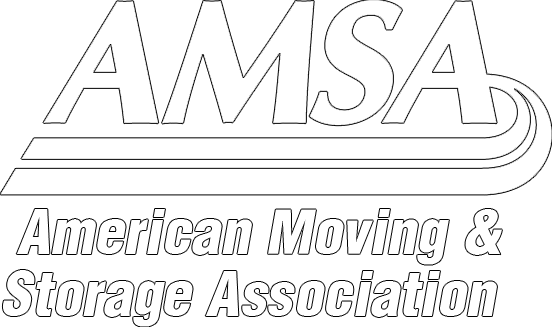 We also offer full packing services to assist you in preparing for your move. If your new home is not ready, or quite as large as anticipated, we can store your belongings in our monitored & climate controlled storage facility. King's Transfer has been serving the Brampton area for over 45 years, and we are ready to help you with your next move in life. Our expert staff can assist with any questions that may come up. Give us a call & see why we qualify for the prestigious rating of A+ with the BBB. Brampton is Ontario’s 4th largest city with a population base estimated at 600,000 for 2017! In Canada, it ranks 9th in size with respect to population. And the city keeps growing, expected to add another 100,000 people in 4 years (based on projected growth pattern). This is no surprise to long time residence of Brampton as many people move here for the lower cost of housing, the diversified culture and the proximity to Toronto Pearson Airport and the greater Toronto area. Did you know that over 70 languages are spoken in Brampton households? After English, Punjabi and Urdu make up 30% of the spoken language. Brampton has changed from the days in the early 1800’s when it was known as “Buffy’s Corners”, after a tavern at the intersection of Main and Queen St. Later, Brampton was known as “The Four Corners”, named after four banks occupied each corner of the intersection. Later, Brampton took on the nickname “The Flower City” for it’s high production of greenhouse produce. Regardless of whichever name it takes - it's diverse communities all refer to the city as "home". We moved from Ottawa to Brampton this past spring. We were more than nervous looking for a moving company after hearing about all the horror stories on the internet. Overall, the interactions with King’s Transfer were pleasant & informative. We decided to use their services, and could not be happier with the decision! The movers were very professional. They put covers down on the floors & doors, and did an inventory with me while tagging all of our belongings. Once they arrived at our new place they walked us through the house identifying each room while covering up the floors at the same time then proceeded to unwrap & place everything. I was given an inventory copy to verify with them as each piece came in. Everything seemed to run very precisely yet quickly. There was some confusion about some pieces for the dining room table, but they were quickly located in a special box they had used for all the screws & bolts for items that were disassembled. My only concern was the amount of time that it took moving items from the truck all the way to the house due to the unforeseen lack of space due to all of the parked cars in the area. The movers took it in stride with a “It happens, don’t worry”. Excellent experience & would highly recommend. King’s handled our move to the Centennial Park district, and we could not be happier with the gentlemen they sent us. Professionals are rare now a days, and when you do work with a team like that it stands out. Thank you!